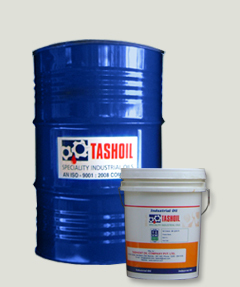 Industrial Oils-Turbash – 32/46/68/77 :: Tashoil Company Pvt. Ltd.
TURBASH: 32/46/68/77 are premium quality turbine Oils made from best paraffinic base stocks with minimum wax contents in it excellent oxidation stability, anti-rust properties, and anti-forming properties are achieved by adding proper additives. Lubrication of steam, Gas and Hydraulic. Turbines: Turbash - 77 use in expressers / exhausters and governors of diesel locomotive operating in Indian Railways. This Oil contains additional (1) Antiwear Properties (2) Higher Fzg rating (3) Better stability but slightly lower - V.I. and Flash Point.